What is a life if not a series of circumstances and choices that have brought us to where we are now? 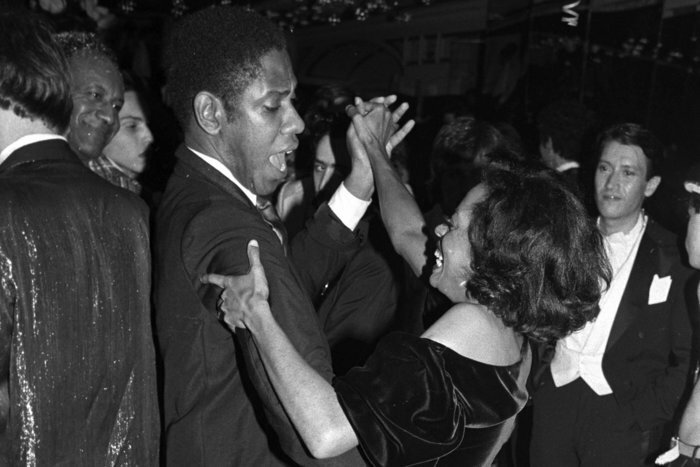 If that's the case, it is hard to argue André Leon Talley hasn't had one of the more remarkable lives ever lived. His story is so unlikely that it almost seems like a fairytale, but at the center of it all is a man that is so self-aware and so appreciative of everything around him that it feels like it was meant to be. And while a masterpiece of a subject does not always lead to a masterpiece of a documentary, there is no denying that this is an interesting watch--if for no other reason than André Leon Talley is a singularly interesting person. The film starts with a look at his humble and religious upbringing in Durham, North Carolina. Raised primarily on the love of his grandmother, he approached this world with an open mind and heart that are still his signature today. From his larger than life stature to that megawatt smile, whatever it is that animates him seems infectious. The film contains any number of testimonials that give color to how he became who he is. His famous friends weigh in, including Whoopi Goldberg, Tom Ford, Tamron Hall and Valentino. He has been surrounded by billionaire designers and genius creatives for over four decades and they all say he has given as much to their lives as they have to his. We see pictures of his days as a staple in the Studio 54 scene and shots of him lounging with Andy Warhol. All the while, he was building an international reputation as a force to be reckoned with in the fashion world. A reputation that would eventually see him become editor-at-large of Vogue, the premier fashion magazine. We get glimpses into his relationships with current Vogue editor-in-chief, Anna Wintour and her predecessors over the years. Through it all, he has been one of the most unlikely faces of one of the most exclusive industries. And that unparalleled success is not without personal sacrifices and struggles as his love life and weight are things he views as less than ideal. But his love for his career seems to have made it all worthwhile. The moments where the film truly shines are those where Talley contemplates where he started and all he's seen. With such a long career, it would be easy to lose track of the broader arc, but Talley offers a great deal of insight into his view of the world and the world's view of him. The ways he sticks out in the fashion world are obvious, but the ways in which he has endeared himself to that same community are equally obvious--his unending charm and unbridled passion. For a film like this, it is crucial that it understands what it is. The movie isn't going to open your mind on some consequential social issue, or even tell you a story of great historical import. But what it will do is expose you to one of the very best spirits among us. With a tight 90 minute runtime and full access to its subject, it definitely could have done worse than this final product.